Begin to see your life. Realise you can choose another path. Being aware is the first step. Educate yourself. Choose to live with nature, rather than without nature. The Silk Roads: Two and a half millennia telling us to stop fighting. The title and the book’s intention, to offer a global perspective, were intriguing to me. Though not a history fan, it is increasingly clear that it is no help to see history from your own perspective because it is blinkered, full of self-serving interpretation and fails to expose the reality of the past. This book offers a big picture perspective. The Cycle of Life, and Death. This time of year has had special significance for millennia. Because it is the end of the annual spiral to darkness and nature’s rebirth. Solstice is a time of rejoicing because it means winter darkness is lifting, warmth will return, and food will become available again. Imagine you live 10,000 years ago, somewhere above latitude 45 or so, you would notice the lengthening of the days a couple of weeks after December solstice. That meant you might survive. 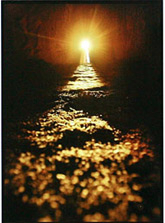 Even 5,000 years ago communities had invested so much in understanding the solar cycle that farmers in the Boyne Valley, Ireland built New Grange, an 85 metre diameter stone tomb, which has a light box which illuminates a 19 metre long passage and chamber as the sun rises on solstice morning! The solar bounce was important to their livelihoods. Here’s a presentation synthesising ideas about education for today’s world. Please get in touch if you have questions or comments. The slides may be downloaded here as a pdf. You have the power to change the world. Choose! We all want to help one another. Human beings are like that. We want to live by each others’ happiness, not by each other’s misery. We don’t want to hate and despise one another. In this world there is room for everyone. And the good earth is rich and can provide for everyone. The way of life can be free and beautiful, but we have lost the way. Greed has poisoned men’s souls; has barricaded the world with hate; has goose-stepped us into misery and bloodshed. We have developed speed, but we have shut ourselves in. Machinery that gives abundance has left us in want. Our knowledge has made us cynical; our cleverness, hard and unkind. We think too much and feel too little. More than machinery ,we need humanity. More than cleverness, we need kindness and gentleness. Without these qualities, life will be violent and all will be lost. The aeroplane and the radio have brought us closer together. The very nature of these inventions cries out for the goodness in man; cries out for universal brotherhood; for the unity of us all. Even now my voice is reaching millions throughout the world, millions of despairing men, women, and little children, victims of a system that makes men torture and imprison innocent people. The misery that is now upon us is but the passing of greed, the bitterness of men who fear the way of human progress. The hate of men will pass, and dictators die, and the power they took from the people will return to the people. And so long as men die, liberty will never perish. Soldiers! Don’t give yourselves to brutes, men who despise you and enslave you; who regiment your lives, tell you what to do, what to think and what to feel! Who drill you, diet you, treat you like cattle, use you as cannon fodder! Don’t give yourselves to these unnatural men—machine men with machine minds and machine hearts! You are not machines! You are not cattle! You are men! You have a love of humanity in your hearts! You don’t hate! Only the unloved hate; the unloved and the unnatural. Soldiers! Don’t fight for slavery! Fight for liberty! In the seventeenth chapter of St. Luke, it’s written “the kingdom of God is within man”, not one man nor a group of men, but in all men! In you! You, the people, have the power, the power to create machines, the power to create happiness! You, the people, have the power to make this life free and beautiful, to make this life a wonderful adventure. Then in the name of democracy, let us use that power. Let us fight for a new world, a decent world that will give men a chance to work, that will give youth a future and old age a security. By the promise of these things, brutes have risen to power. But they lie! They do not fulfill their promise. They never will! Dictators free themselves but they enslave the people! Now let us fight to fulfill that promise! Let us fight to free the world! To do away with national barriers! To do away with greed, with hate and intolerance! Soldiers, in the name of democracy, let us all unite! We joined an eclectic group at Voice Box at the end of June. We were asked to talk for five minutes about Common Sense, a book about people, planet and profit by a venture capitalist. Here is the edited version of the video showing the slides more clearly. Enjoy! Thanks to Jaspar for great camera work. The original footage is available at the bottom of this page here. Cosmic synchronicity in a hay field. We baled today. It was wonderful. It started a bit later than planned because the normal school run delay was compounded by an emergency breakdown of a client’s computer .,.. 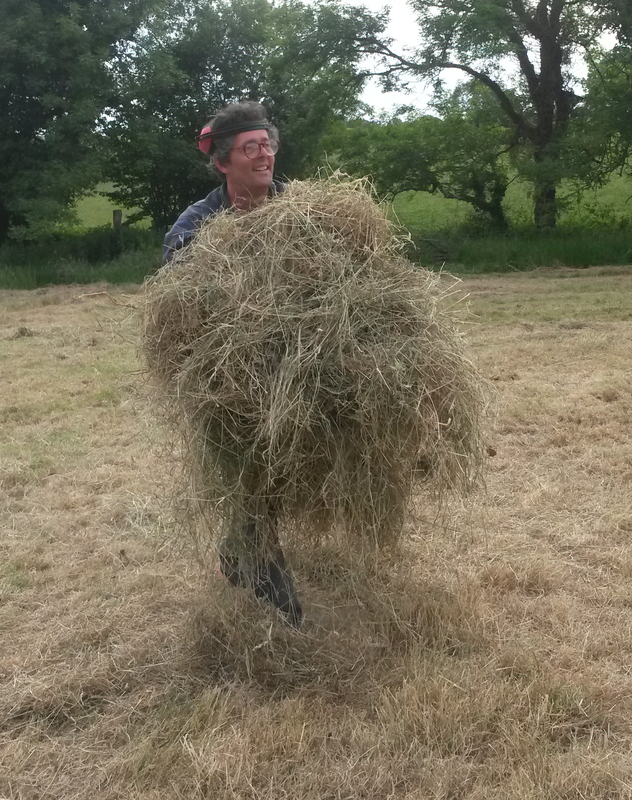 The field was rowed around noon and then square baling started. Padraig would arrive at 3pm to round bale. I needed 200 square bales for 2 customers who each wanted 100. The baler was acting up. The knots weren’t holding and a bale in every five would be lost. Noel cleaned the knotter and after a couple of rows it loosened up and ran better. In the end we baled 241 square. Padraig got 38 round. One customer took 136 by mistake, and paid for the extras too. The other took his 100. And there were 5 left for us. Unbelievable. By pure chance we split the field precisely in the right place to get the square bales the customers wanted without leaving anything in the field to await the rain. It couldn’t have been better if it had been planned! I must have been on a roll because a similar coincidence occurred in the evening. #4 wanted to watch an inappropriate film that was playing for his elder siblings … Having said “not for you”, about half an hour later I had a feeling he might have ventured in to join his brother and sister, so I checked. He had walked in 10 seconds before I checked! The cosmic rhythm can be useful. I’ll be doing Voice Box at GBS Visual Centre next Thursday 25 June at 7.30pm. The idea is to do Common Sense in 5 minutes (apparently the bell rings when time is up. 😉 ) It will be a challenge, but fun. Now to squash the book in to 5 minutes before next week …! It should make for an interesting evening. Please come along. Ask questions! First cutting of hay – ahhhhhh, it’s summer time. Started around 6 in the evening yesterday and took it slowly to avoid mistakes after winter inactivity. Cut for about 4 hours. Looking forward to turning and baling. ‘Twas a lovely evening. Hay is a foundation of civilisation. Without it, animals can not last through the winter, making life difficult for humans too. There are many types of grass. The main ones are fescue (most predominant in the video), rye and timothy. There are also herbs, like chicory and plantain, and clover. And most of the weeds are not bad to eat, they can even be good, but if they are large leaved they can interfere with the curing and drying of the hay. A mixed sward is the best feed – that’s what animals look for in the wild. I’ve seen horse graze on nettles, brambles, oak, beech and even reeds! Facebook, like Google, reduces our ability to think. Now scientifically proven! It’s not as though it wasn’t expected. The behaviour and algorithms users and social media networks are intended to filter ideas to suit our individual perspective. That’s a major reason people use the big engines like Google and Facebook. 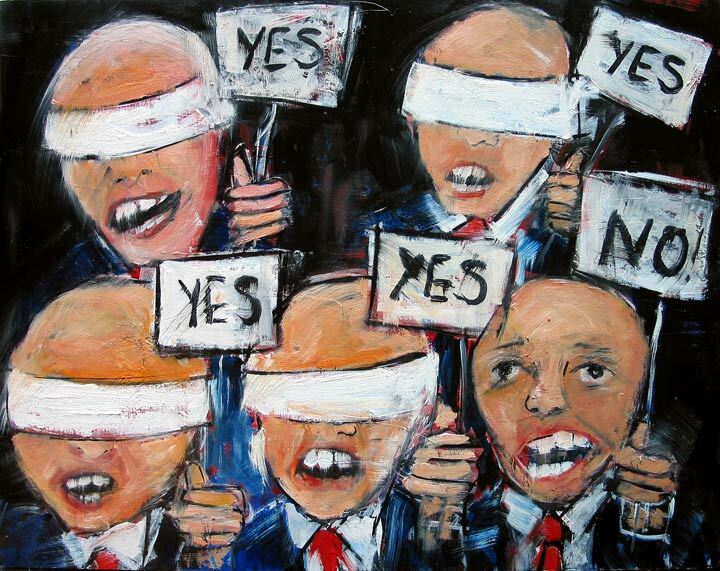 But that behaviour encourages groupthink. The user only clicks on stories and links that match their own desires and perspective and the engine tends to serve stories and links that the user prefers to click. It’s a self-reinforcing process. The result is that you get a narrower view of the world. 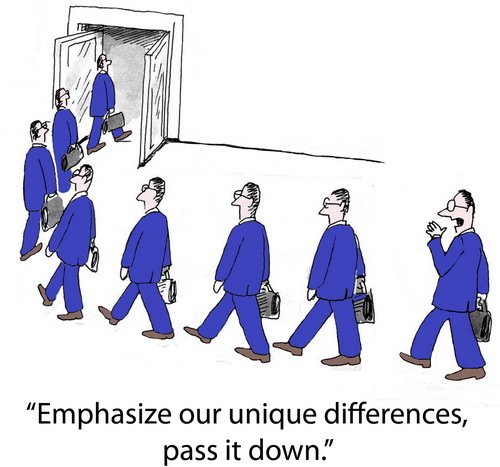 You don’t hear stories or connect with people that you have differences with. This reduces your information as well as your perspective. That means you don’t develop ideas; your thinking is less critical. The solution? Every now and then, click links that you would normally avoid. Even if you don’t read them it will diversify the feed you get from the big engines. Use a different search engine which does not track your behaviour so that the search results are generic and diverse (try duckduckgo or ixquick for exmaple).